Hello, friends! If you have been reading my blog or following me on Instagram or Facebook for a while you will know that I love to use wooden pieces to decorate my home and my clients homes. I love the neutral colors, warmth and texture it adds. The love of wooden stuff crosses over into my wardrobe where I've recently added some wood jewerly pieces to my collection. 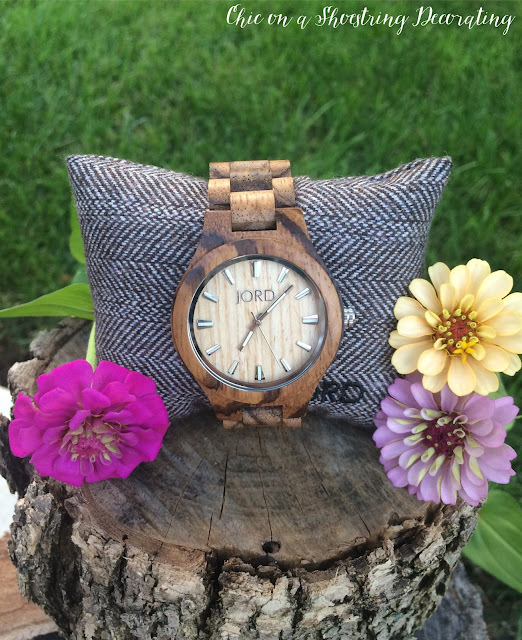 My most favorite piece is my new JORD wood watch!! Isn't it a beauty?!? 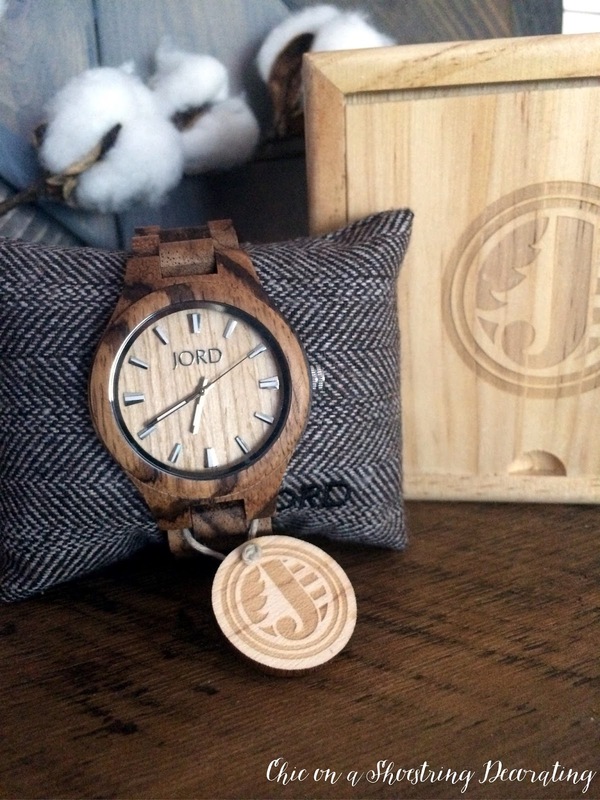 It is the JORD Zebra Wood and Maple watch and I absolutely love it! Besides being extremely attractive, it goes with everything! Whether I am wearing silver or gold (or both!) it looks lovely. 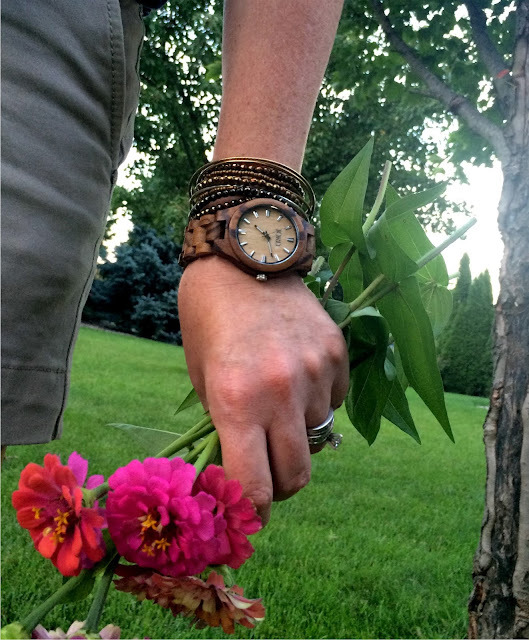 I am a lover of "arm candy" and as you can see in this picture it works great with both my silver and gold bracelets. It also works with virtually any color you are wearing. I love the versatility so much... when I'm rushing out the door in the morning I don't have to think about it, I can just grab it, slip it on my wrist and go. Another thing I love about it is how light weight it is. My other watches are metal and kinda heavy. They are also hot in the summer, they can make my wrist kinda sweaty... Gross, right?! But it's true!! 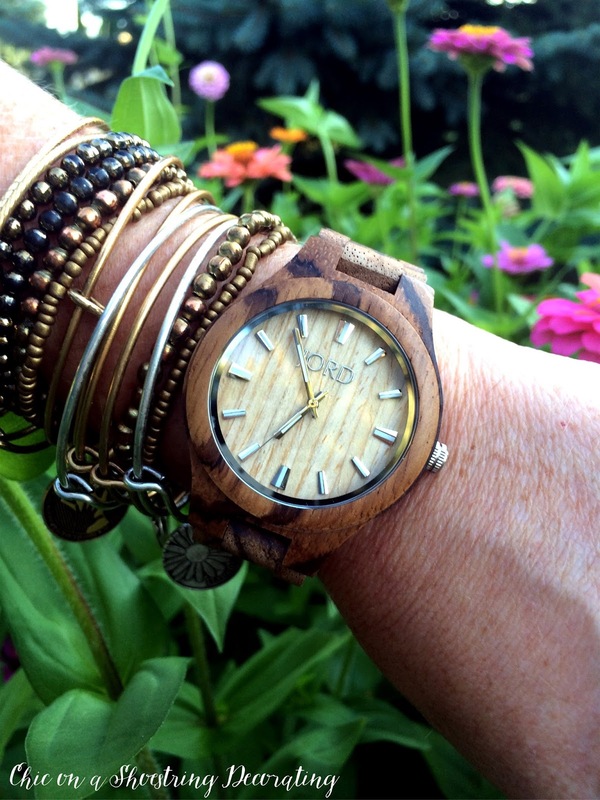 My new wood watch is a cool watch, both literally and physically. No more summer sweaty wrists! The watch comes packaged so well in a pretty wooden box (of course). It would make a fabulous gift for someone including yourself. Besides my watch they have tons of other beautiful wood watch styles for both women and men. I know you are dying to get your hands on one! JORD Wood Watches have generously offered my readers a chance to win a $75 e-gift card to one lucky person and a $20 off code just for entering! 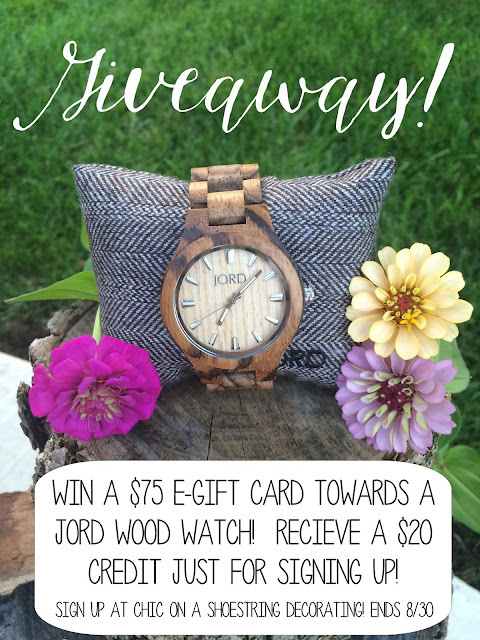 Click here to sign up for the JORD Wood Watch E-gift card giveaway and a $20 off code. Giveaway ends August 30th at 11:59pm, enter now!! Good luck! Giveaway is closed. *This post was sponsored by JORD Wood Watches buy all opinions are 100% mine. I do not make a commission from any watches sold. For more information see my Advertising and Disclosure tab at the top of the page. Cute!! I've never seen these before!